Why do hearing aid batteries drain so quickly and how can they be more efficient? Here are a few tips to help your batteries last longer. Turn it off: Don’t keep your hearing aids running at night when you are not wearing them. When you are not using your hearing aids, open the battery door and remove the battery. Use fresh products: The fresher your batteries are the better! Make sure that you pay attention to the expiration date. If you buy lots of batteries to stock up, the more likely they will expire and not last as long. 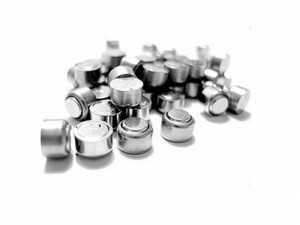 Hint – Mercury batteries have a shorter life span than traditional batteries. Remove the plastic tab only when you are ready to use: The plastic tabs keeps the battery fresh while it is in storage. As soon as the tab is removed, the battery activates and will slowly start to loose “juice”. Let the battery sit for at least 1-2 minutes: After you remove the tab, the zinc within the battery mixes with the air to power up. Recent research shows that if you wait for 1-2 minutes after removing the tab and inserting into your device, you will extend your batteries life 2-3 days. Wash your hands first: When replacing your batteries, grease and dirt from your hands can be transferred to the battery, which is not only bad for the lifespan of your batteries but also for your hearing devices.